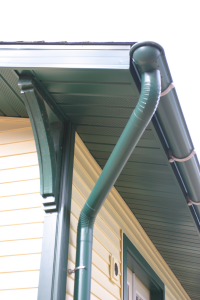 Grecian green 6″ aluminum gutter with customer painted open curl fascia bracket and spherical endcap. Smooth downspout accented by spherical collector box and contrasting flush mount Fleur-de-Lis downspout bracket. Low gloss white aluminum gutter with stamped fascia bracket. 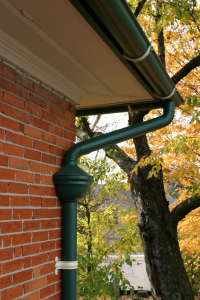 Smooth downspout with accenting stirrup. Grecian green 6″ aluminum gutter with custom painted spherical endcap installed with customer painted closed curl fascia brackets. Matching grecian green smooth downspout and customer painted stirrups. 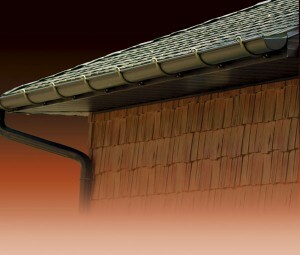 Royal Brown 6″ aluminum gutter with customer painted double open curl fascia brackets. 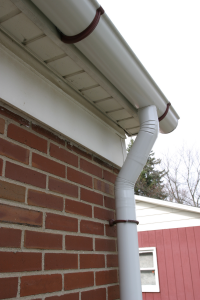 Matching corrugated downspout and aluminum downspout straps.